Vice President, Prof Yemi Osinbajo has called on Nigerians across religious divides to rise in unison against growing cases of religious intolerance in Nigeria, promising that the Federal Government of Nigeria is doing everything it its powers to protect the rights of all citizens for freedom of worship. Prof Osinbajo who made this call on Tuesday while commissioning the over 40,000 capacity new headquarters building and church auditorium of the Depper Life Bible Church, Gbagada, Lagos said the religious intolerance remains a major challenge against the socio-economic revival of Nigeria, assuring that President Muhammadu Buhari has given him the mandate to intervene in areas that are facing such challenges with the aim of bringing enduring peaceful co-existence. 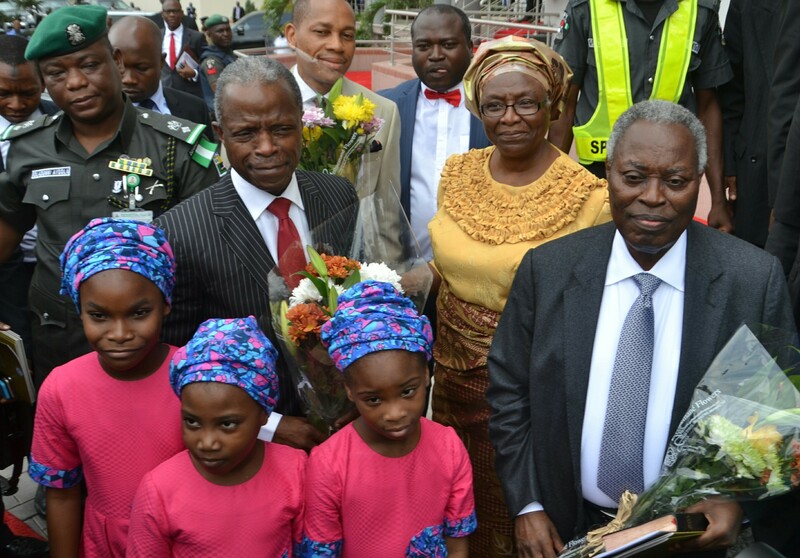 Addressing the congregation, the General Superintendent of Deeper Christian Life Ministry, Pastor Wlliams Kumuyi thanked the Vice President, Yemi Osinbajo finding time to witness the official commissioning of the new auditorium, which he described as historical the journey of the Church towards evangelizing the world.